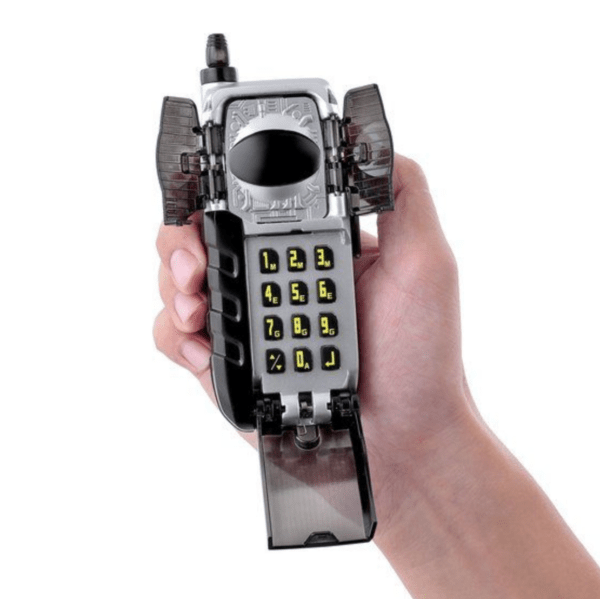 Following the previous announcement of the Super Sentai Artisan Degitaizer and Battleraizer, Premium Bandai has announced their next release in the Denji Sentai Megaranger Artisan line, MegaSilver’s Keitaizer Megareal Edition. 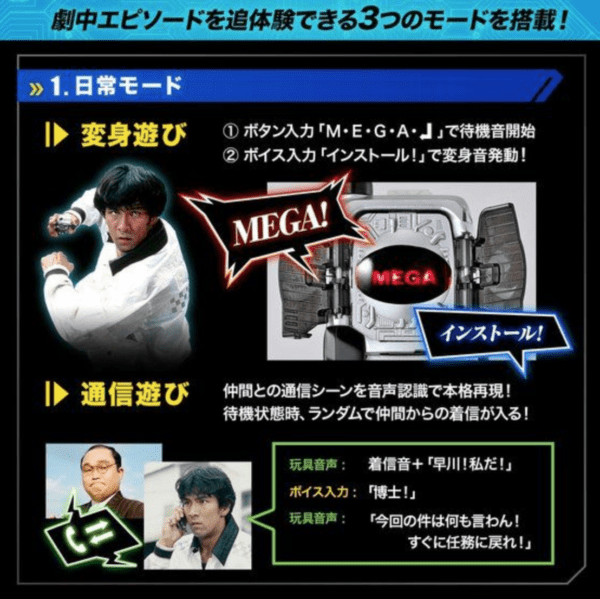 Pressing MegaSilver’s infamous code of “M · E · G · A ·”, the Keitaizer allows Yuusaku Hayakawa to activate his Mega suit and transform into MegaSilver. 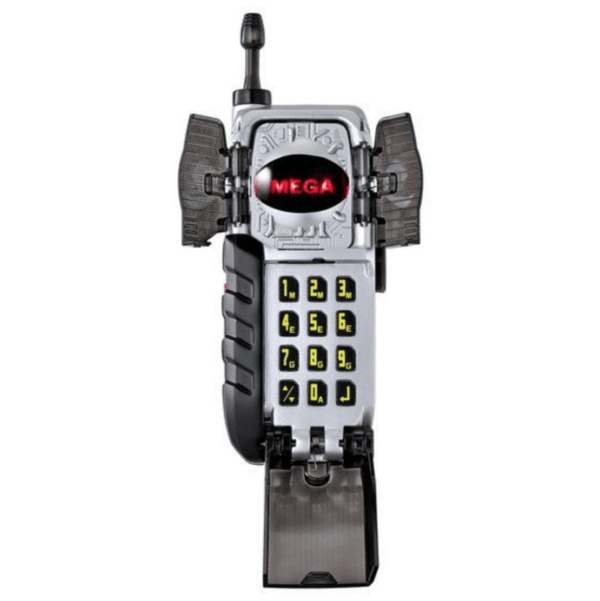 Depending on the code pressed, it also allows him to communicate with INET and the Megarangers, call his Auto Slider, and activate his MegaWinger. 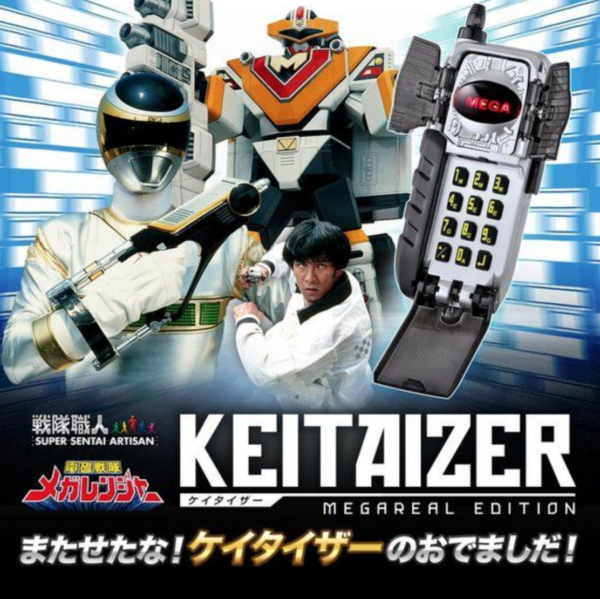 Unlike the original DX toy and like the Artisan Degitaizer, the Artisan Keitaizer will feature voice recognition functionality (the user may need to use Japanese). 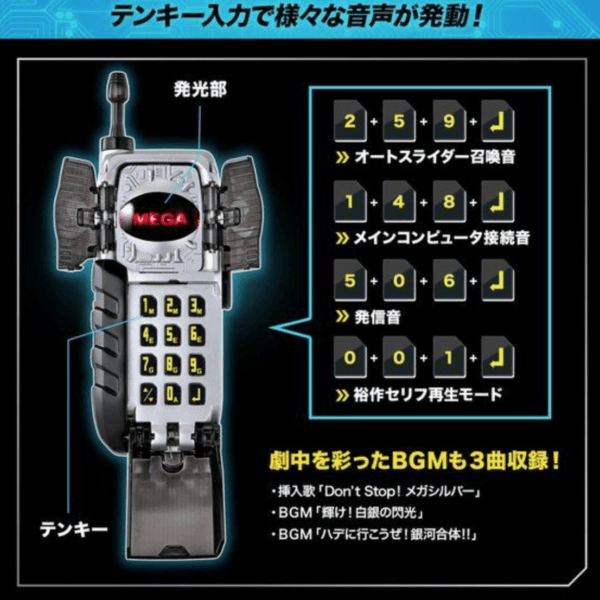 Voice recognition sounds for the Keitaizer include “Install!” (transformation sound), if you switch from normal mode to transformation mode and enter “M · E · G · A · Enter” with the numeric keypad. The word “MEGA” will emit from the screen. What’s unique about this Artisan release is that there is a time limit count function unique to MegaSilver. 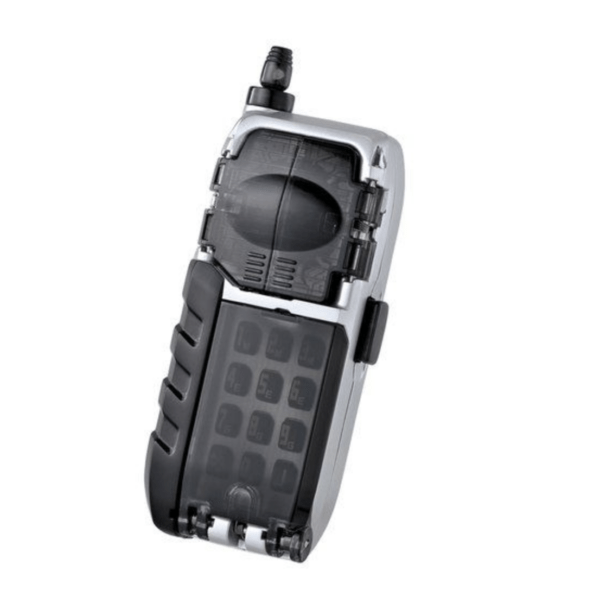 After 2 minutes and 30 seconds, the transformation is automatically released. The countdown sound of “Nine, Eight …” will start 9 seconds before the time limit. An example of recognizable voice recognition sounds include: “Install!” (Transformation into MegaSilver), “Mega Winger” (Summon MegaWinger) and “BGM over!”. 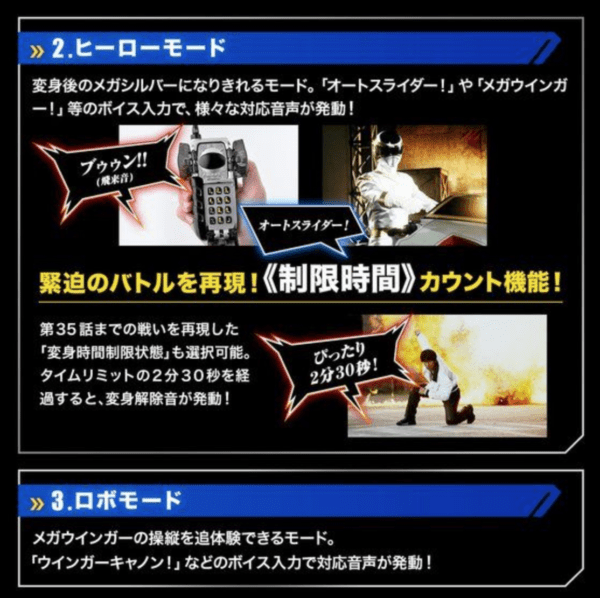 BGM songs include: MegaSilver’s theme “Don’ Stop! MegaSilver”「Don’t Stop！メガシルバー」, BGM “Shine! Flash of the Silver Flake”「輝け！白銀の閃光」, and “Let’s Make it Showy! 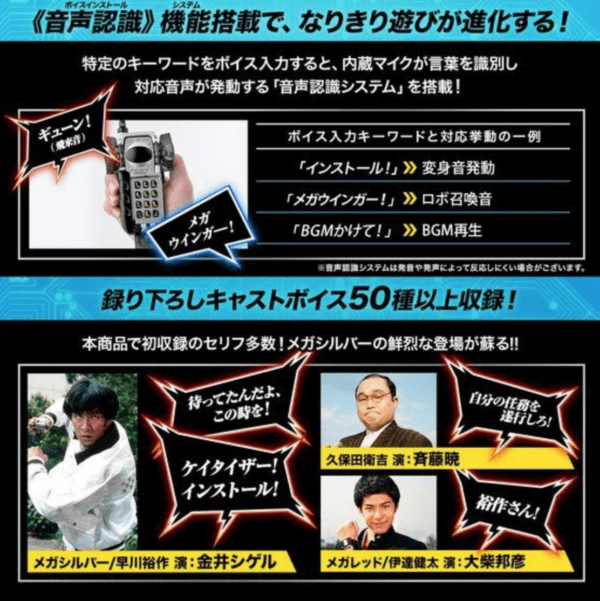 Galaxy Combination!!”「ハデに行こうぜ！銀河合体!!」. 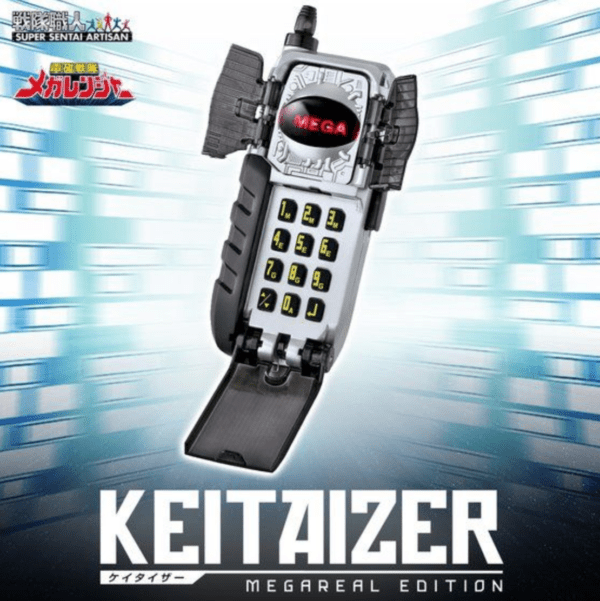 The Super Sentai Artisan Keitaizer Megareal Edition from Denji Sentai Megaranger will go for ¥8,500 (tax included) and is scheduled for shipment in February 2019. Preorders are being accepted until November 5th, 2018, at 23:00 JST.